This SUV has an automatic transmission and is powered by a 295HP 3.6L V6 Cylinder Engine. 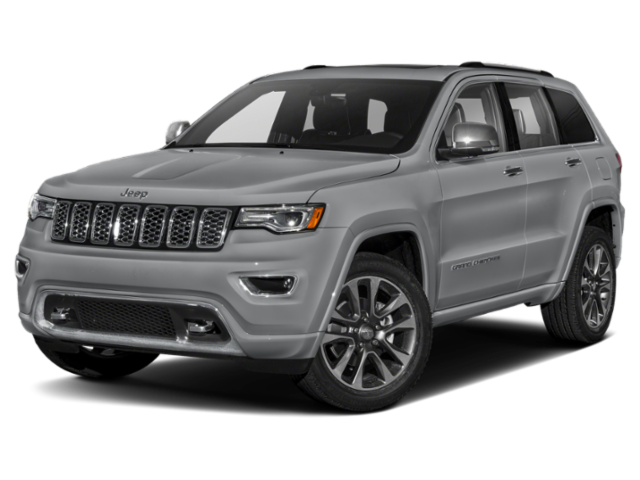 Our Grand Cherokee's trim level is Overland 4x4. The Overland trim pushes this Grand Cherokee well into luxury territory. It comes with Nappa leather seats, heated first- and second-row seats, ventilated front seats, wood and leather interior trim, a heated steering wheel, four-wheel drive, air suspension, a dual-pane panoramic sunroof, Uconnect 8.4 with navigation, Bluetooth, and SiriusXM, Alpine 9-speaker premium audio, automatic HID headlights, a rearview camera, remote start, and much more. This vehicle has been upgraded with the following features: Navigation, Sunroof, Leather Seats, Bluetooth, Cooled Seats, Rear View Camera, Heated Seats. View the original window sticker for this vehicle with this url https://www.chrysler.com/hostd/windowsticker/getWindowStickerPdf.do?vin=1C4RJFCG6JC256157.